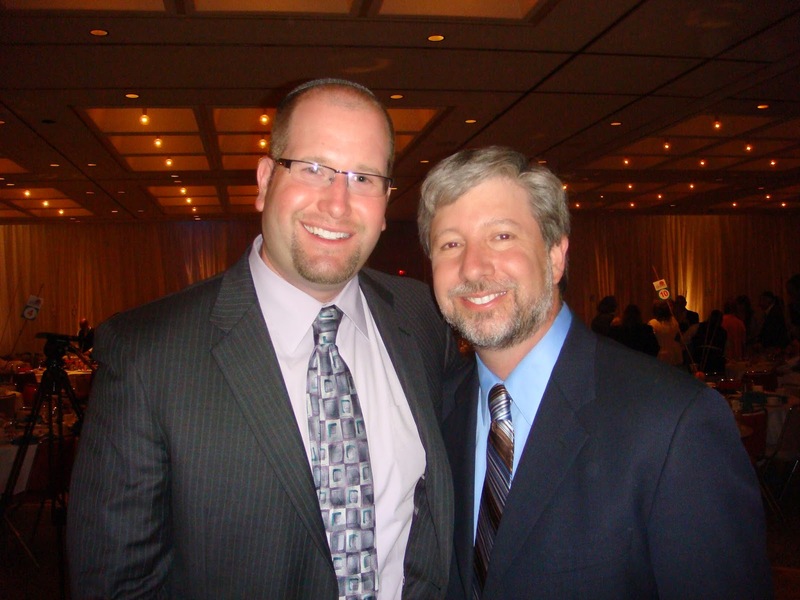 The Rabbi with a Blog (Rabbi Jason Miller): Are Rabbis Getting Trained In Entrepreneurship? Are Rabbis Getting Trained In Entrepreneurship? About a year ago, my teacher and friend Rabbi Hayim Herring asked me to submit a guest post for his blog about how well I think rabbinical school programs prepared us rabbis for the rabbinate and what was missing from that experience. I was honored he asked me to submit this essay, but too busy at the time to sit down and contemplate what was absent from my rabbinical school program. Finally, I gave it some thought and realized that many of the "tasks" I perform today as a rabbi draw upon skills I honed during my years at the Jewish Theological Seminary, but others are what I attribute to having an entrepreneurial spirit. While I personally enjoyed a wonderful experience while a rabbinical student and feel indebted to my teachers for helping to shape me as a rabbi, I realized that entrepreneurship as a subject was not something I remember being part of the curriculum at the Seminary during my time there. In fact, during my final year of rabbinical school at JTS (2003-2004) I served as president of the Rabbinical School Student Organization and found myself, together with faculty members, my peers, and the school's deans, on a committee to begin the process of reshaping the rabbinical school curriculum. My contribution to this process was in proposing to offer an option for rabbinical students to take a few classes at the business school down the street at Columbia University. The problem that we faced on that committee was that there were only so many courses to put into the rabbinical school curriculum along with the requisite fieldwork, rotations and internships. Further, the faculty members were all protective of their courses and their individual department's role within the curriculum. The day after this essay, titled "The Entrepreneurship Education Missing from Seminary Training," was published on Hayim Herring's blog, I received a phone call from him telling me that the current dean of the JTS rabbinical school took exception to what I wrote. Ordinarily, such a critique of my opinion wouldn't have bothered me, but the current dean of the rabbinical school, Rabbi Danny Nevins, is a close personal friend and the rabbi whom I have considered to be my personal rabbi for the past twenty years. Rabbi Nevins became the rabbi of my congregation, Adat Shalom Synagogue in Metropolitan Detroit, in 1994 after he was ordained from JTS rabbinical school. We began a chavruta (paired study) the following year and learned Talmud together for several years to prepare me for rabbinical school. He was one of the rabbis who stood with my wife and me under the chuppah at our wedding, officiated at our children's naming ceremonies and hired me to direct a monthly Shabbat program at the synagogue while I was working at the University of Michigan Hillel Foundation. Rabbi Herring offered Rabbi Nevins the opportunity to respond to me directly on the blog. I ended my phone call with Rabbi Herring and quickly called Rabbi Nevins to discuss what I had written. Rabbi Nevins explained that he only took exception with what I had written in the couple of sentences in which I stated that JTS still doesn't offer entrepreneurial training. He shared about some of the current initiatives underway at the Seminary to try to fill that gap. As we discussed entrepreneurship more it became clear that we each had different understandings of what entrepreneurship means. I was using the common definition that it is the process of starting a business or other organization, while Rabbi Nevins understands it as a way of being creative within the status quo. To my mind, a rabbi taking a risk and starting a new endeavor (a new synagogue, community center, organization, etc.) would be an example of an entrepreneur. Rabbi Nevins understands the term to be one who is simply thinking outside the box and building new programs within a traditional institution. While both are important, I maintain that not everything can be categorized as entrepreneurship. Leadership education, I explained, is not really what I had in mind when I wrote that entrepreneurship isn't a subject matter of rabbinical school training. Teaching leadership skills will come in handy when the rabbi needs to navigate the often turbulent waters of synagogue volunteer engagement or in getting a committee to cooperate in planning an event. Offering entrepreneurship training will be essential for the rabbi who, for example, is interested in forming a startup company that disrupts the current model of synagogue Hebrew school as we know it. We both discussed Harvard professor and leadership expert Ronald Heifetz's suggestion that the term "entrepreneur" isn't really helpful anymore to explain the role a leader must assume in the 21st century. I would just chalk that up to semantics. Ultimately, while we agreed to disagree on the meaning of entrepreneurship, I left that conversation feeling as though there has been some very meaningful change afoot in the way JTS is training its rabbis. As more entrepreneurial rabbis find success in the rabbinate, I'm sure we'll return to the rabbinical schools in which we were trained and try to share some best practices with the next generation of rabbis. My original essay can be read on Hayim Herring's blog here and Rabbi Nevins' response can be read here.